Sometimes when we think we are done with a calling it might not be the right time for us to be done. I was struggling with this and will continue to be patient and have faith in the Lords timing. I really want to learn and grow and by asking for the release on my time I might mess up my learning and growing. This is such a great talk for helping us see what puts distance between us and God. 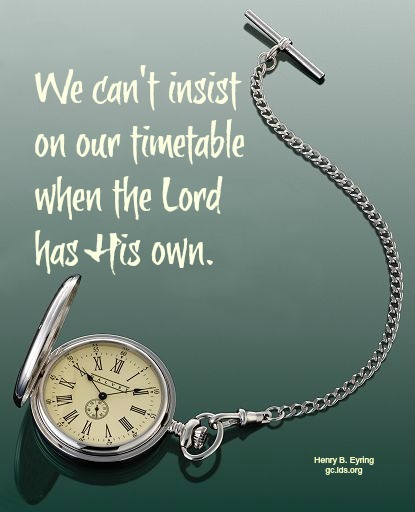 I loved his insights on submitting to the Lord’s will and His timing–two things I really need to work on. I needed to read this talk this morning. It is the salve for my soul today. Even as I know trials can teach us and bless us, it can still hurt and be painful. I really appreciate the personal stories from Pres Eyring and his daughter.